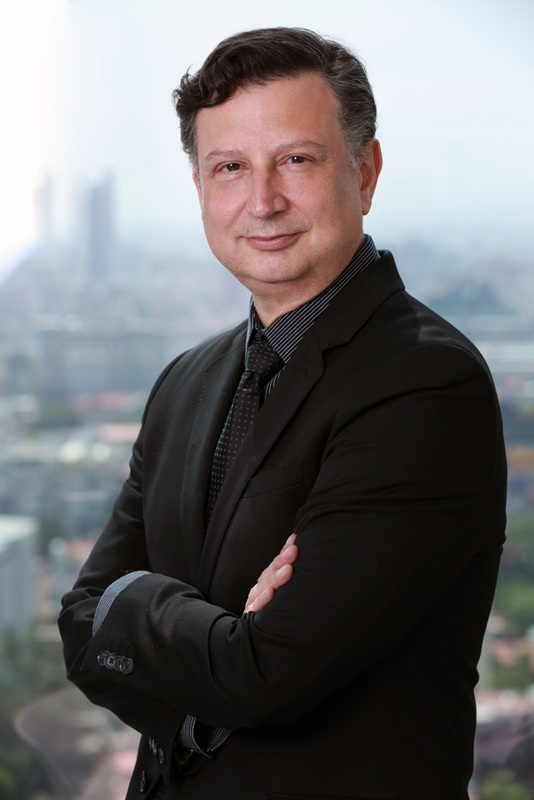 Without intending to, Andres Amezquita has become one of the preeminent digital experts in the Latin world (and beyond). Andres Amezquita’s career trajectory has taken him from one gold standard to another across a variety of industries: Procter & Gamble, Mattel, Amazon, and now L’Oréal. Today, as chief marketing officer for Mexico and Spanish-speaking Americas, he has broad purview over consumer intelligence, digital, e-commerce, CRM, and media. Here, he shares with HE how digital is changing the face of Latin American beauty. For much of your career, you’ve marketed to consumers outside of your own demographic. Has it ever posed a challenge to push beyond your personal lens? If you think about the places where my career has ventured, like color cosmetics and toys, they’re all about fun. It has never mattered that I’m not the consumer; I could still connect with the consumer and their experience in a very strong way. At Mattel, when I was vice president for the Barbie division internationally, it was all about allowing girls to dream, to be empowered, to craft who they are and where they are going. What attracted me to beauty care was a similar concept; it provides a way for women to dream and to feel empowered through transformation. It’s a very sensorial category. When you think about color cosmetics, everything is about the senses: the texture, the shades, the packaging, the final results. If you think about skin care, creams are also diverse in their texture, feel, and scent. They allow people to connect emotionally. When I discovered that about color cosmetics, it was very powerful for me. What types of products and experiences do you find can spark that emotional connection with consumers? When I was working on boys’ toys for Mattel in the early 2000s, one of my brands was called Max Steel—kind of like G.I. Joe. It was a very strong brand in Latin America, but it wasn’t taking off very well in the United States, so the line was going to be killed. I had to make the business case to keep it alive in Latin America because we discovered a key insight. You didn’t have an abundance of male role models in that region, at least not in consumer products. Max Steel was a role model for kids. He encouraged a healthy lifestyle, doing sports, and helping others. So for parents and kids, Max was more than a toy; he represented positive values that they could integrate into their lives. In fact, being able to drive entertainment for that brand and keep it alive was one of the highlights of my career. Beauty care evokes a whole different set of unique emotions. When you enter adulthood, get your first well-paying job, and you’re able to go into the department store and buy that fragrance or that upscale makeup brand, it’s a milestone that you are moving forward in life. It can create a great sense of pride and achievement, as well as an emotional connection to those products. In addition to traditional marketing, you’ve made a name for yourself in digital. What’s top of mind for you in that space today? If I had to boil it down to one question, it is: How do we accelerate change and transformation across Latin America to incorporate more e-commerce and customer relationship management (CRM)? Surprisingly, digital is still not very developed in Latin America. My wife and I were born in Mexico, and we lived in the States for many years before becoming US citizens. Now that we’ve been based back in Mexico for the last year with L’Oréal, it’s been wonderful to be with family, but it has been challenging to adjust in some aspects. Right before this, I was working at Amazon, in Seattle; it was a markedly different environment, very futuristic. I’ve realized that I can have a real impact in Latin America with the knowledge and expertise that I have. A lot of Fortune 500s with hubs here are not advanced in digital. We’re all challenged to come up with that expertise. At the end of the day, the consumer has changed, and we have to lead. How are Latin American consumers out-pacing digital marketers, and what can brands do to catch up? How is L’Oréal responding to the changing marketplace dynamics? Consumers now have more access on more devices, a greater awareness of beauty trends around the world, and they are more digitally savvy—so it’s important for us to engage them in a conversation with valuable topics, whether it’s through tutorials, beauty trends, inspiration, or brand information. One of my goals next year is to up-skill the marketing organization to understand digital and all its verticals. Right now we have digital universities—events we’re creating in various countries—but we’re also working with the US and Paris teams to roll out programs prepared by subject matter experts across the region. What’s up ahead for L’Oréal that you consider revolutionary? To me, what’s most interesting is the prospect to create a model to engage in digital marketing in smaller markets where we have fewer resources, where there isn’t scale like there is in Western Europe, the US, and Canada. This is especially relevant for Latin America, where we can find synergies among different countries and possibly create a playbook so that a given country that lacks resources can still build local communities, local social media conversations, and local content that speaks to their consumers. With the rise of globalization, are regional cultures growing closer or farther apart in terms of beauty care? We’re definitely seeing more global trends, thanks to digital connectivity, but we’re also finding brands with highly local roots. Some looks are certainly more aligned with a particular country—or city—than with the global market. For example, a Mexican fashion house, Pineda Covalín, uses textures and leitmotivs inspired by handicrafts from the country’s indigenous cultures. What’s interesting is that, in the past, Latin America was dictated by the telenovelas. That is changing very quickly. Telenovelas still have a huge cultural influence, but not as much with beauty. In this era, there is a shift toward user-generated content and bloggers. When you link that to the millennials’ quest for authenticity, experimentation, and individuality, these seemingly small trends combine into a major force. Across all these trends and insights, which phenomenon in beauty is most fascinating to you? How millennials are using beauty care to express their individuality. It’s almost like each urban tribe has their own look, and millennials experiment with being a part of the different tribes on different days of the week. Now they are not as connected with the brands themselves, but they’re more connected with the aspect of self-expression. They look for tutorials to see how to change their hair, makeup, and style of dress so they can experiment with who they are through how they look. In most cases it’s not related to the brand. The challenge we have is to become one of the brands that they truly love so that we can have a conversation with them. Because when they do come to love you, they really love you.